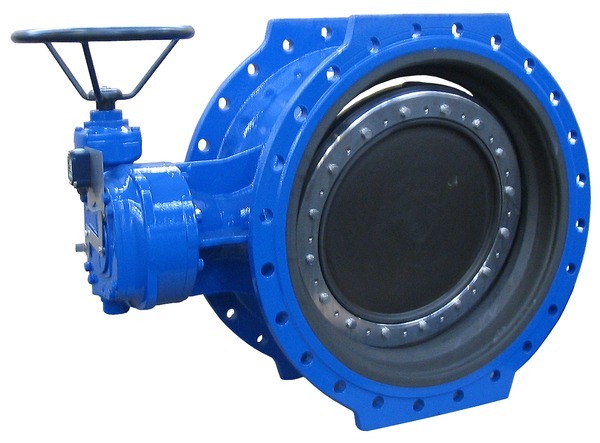 Double-offset flanged butterfly valve (resilient-seated) with rubber-lined seat and rubber-coated disk for use with aggressive media. Long service life, as the medium does not come into contact with the bearing, and due to the rubber-lined seat. Suitable for use in water-treatment applications.